When you or a loved one are injured due to the careless or reckless behavior of another person, you need to secure legal assistance immediately. 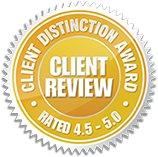 Contact Bellevue personal injury attorney for a free consultation by calling 800-529-0842. Whether you are walking down the street, shopping at the grocery store, or undergoing a medical procedure, you never really know if you are completely safe. We all know that accidents can happen, but we push those thoughts out of our mind. After all, we need to live our lives. Unfortunately, there are times when other people’s negligence can really cause us harm. At Russell & Hill, PLLC, we will step and work ensure that you get the compensation you deserve. 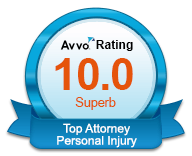 When you need a Bellevue personal injury attorney, turn to our trusted and experienced team. 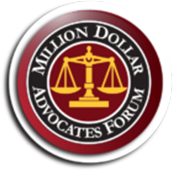 We do not think it is fair that you and your family have to suffer financially due to another person’s mistakes. Again, we do not think about the everyday activities we partake in as things that can cause us harm. Despite measures we take to keep ourselves and our loved ones safe, we cannot control the actions of other people around us. Today, we will talk about a few of the ways that people can get harmed, though this list is certainly not a complete one. Always speak with a qualified attorney about your case before making a decision. Dog Bites/Attacks – When you see Fido walking down the street, he may look harmless, but that is not always the case. Many pet owners ignore leash laws, do not properly keep their dogs contained, or let aggressive dogs mingle with others. There are over 4 million bites reported each year in the US and over 800,000 of those require medical attention. Vehicle Crashes – We already know that there is a risk of getting into an accident, but sometimes they happen if another driver is impaired, distracted, speeding, or driving aggressively. Car accidents can cause serious injuries and often the insurance companies involved do not offer much in the way of covering expenses. Medical Errors – Did you know that medical mistakes are the third leading cause of death in the United States? These happen mostly due to the negligence of healthcare professionals when diagnosing, performing surgeries, dispensing medications, and allowing infections to spread. Slip and Fall Incidents – These accidents are the most common type of premises liability cases. They are also the most preventable. Property owners and the people who work for them should always ensure that their patrons are safe from wet floors, obstacles, and other trip hazards. When you or a loved one are injured due to the careless or reckless behavior of another person, you need to secure legal assistance immediately. Even if insurance is offering a settlement, it is not likely to cover all of your injury-related expenses. At Russell & Hill, PLLC, we will work to secure coverage of your medical expenses, the income you lose if you cannot work, as well as pain and suffering damages. When you need a Bellevue personal injury attorney, you can contact us for a free consultation by clicking here or calling 800-529-0842.